Similar to Lyme disease, a new tick-borne infection known as Borrelia miyamotoi has been discovered in people in the United States. Other authors of the study include Erol Fikrig, chief of infectious diseases at Yale School of Medicine; Sukanya Narasimhan, research scientist in infectious nts diseases at the Yale School of Medicine; Gary P. Wormser, at New York Medical College; and Alan G. Barbour, University of California, Irvine. 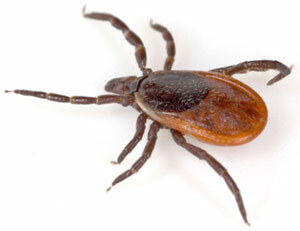 Be the first to comment on "Tick-Borne Infection Borrelia Miyamotoi Discovered in the United States"